I have over 20 years experience in the real estate industry. During this time, I also maintained my own successful construction company specializing in building, remodeling jobs, deck construction, handy man fixes, etc for both residential and commercial properties. I will put all those years of experience to work for you. My personal goal is to provide you with the best possible customer service, care and support that you would expect and deserve while making important decisions on the purchase of your home. Check out what your home value is worth. 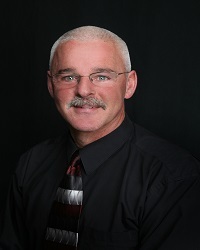 "Scott is very knowledgeable on all aspects of homes including construction, electrical, and HVAC. He points out any issues there may be and how to manage them. Once he knows your must have criteria, that's what he provides. He allows you to make the decision based on all the information he can find. There is not pressure from Scott to make an offer, but when you do decide, he knows all the right strategies to implement. Scott is an all around great guy."